Quezon City: Ateneo de Manila University Press, 2015, 280 pages. DAVAO CITY (MindaNews/21 February) — The memories of Pope Francis’ visit to the Philippines continue to linger in the minds of most Filipinos, especially those who had the privilege of actually seeing him in the flesh, even if it took place only for a few seconds. A reawakening of the faith among many Filipinos ensued with this historic visit. There is no doubt that the highlight of the Pope’s visit was the few hours he spent in Tacloban City and Palo. The Mass that he celebrated at the airport in Tacloban – when an estimated crowd of 200,000 were drenched by rain and battered by the strong winds of Typhoon Amang – was truly an occasion to reflect on what are the challenges to our Christian faith in this day and age. That Eucharistic celebration was attended by mostly the poor people of the city and adjacent areas made poorer by the impact of Yolanda. It was clear from the start that the Pope’s visit to the Philippines was mainly out of his desire to be in solidarity with the mega-disaster’s survivors whose needs continue to be neglected by both national government agencies and local government units. Pope Francis comforted them as he manifested his desire to embrace the people’s pain and grief. But the image of the Pope dressed in the cheap yellow raincoat beamed across the country and many parts of the world manifested how extensive has been occurrence of disastrous calamities owing to climate change. The impact of climate change that has made catastrophes the new normal has truly come a social and moral problem as these disasters worsen the already serious poverty situation of the country. This is the irony of the world today: those who have contributed the least to global warming are the ones who suffer most from the impact of climate change. This phenomenon has not escaped Pope Francis’ attention; this was true for the previous two Popes, namely St. Pope Paul II and Pope Benedict XVI. They spoke very strongly on the need for humanity to be more aware of the impact of climate change and to exert efforts to save the planet. Pope Francis at various occasions have called on the moral imperative to ensure social and climate justice for present and future generations. While traveling to the Philippines he issued the statement that “human activity is the main cause of climate change… as man slapped nature in the face”. At the University of Sto. Tomas where he met the youth and in his Mass at the Rizal Park, he spoke of the importance of protecting the environment as countries like the Philippines will be seriously affected by climate change, thus, affecting especially the economically poor and marginalized. Such words are meant to provoke us to think and act with urgency considering the seriousness of the environmental problem. Comes now a book that will help us to think as well guide us in our action to respond to this urgent need. Fr. Reynaldo D. Raluto’s POVERTY AND ECOLOGY AT THE CROSSROADS: Towards an Ecological Theology of Liberation in the Philippine Context has just been published by the Ateneo de Manila University Press. Its publication – following the visit of Pope Francis – is most timely and one hopes that the book will reach a mass audience especially the key leaders of the Philippine Church as well as grassroots animators of Base Ecclesial communities throughout the country. However, it has a great value not only for churchworkers; those in government and civil society would be benefited by reading this book. While this book has a great value for all Filipinos, it has a special importance for Mindanawons since the book’s backdrop is constituted by the history, contemporary realities, the indigenous peoples, the environmental issues, the ecological movement and the Local Church of Mindanao, While this is primarily a theological-missiological book, POVERTY AND ECOLOGY AT THE CROSSROADS, however provides a comprehensive view of the economic, political, social, cultural and ecological context from out of which the theological-missiological discourses arise. Readers of the millennial generation – born only after the birth of the ecological movement in Mindanao in the late 1980s – would realize the extensive struggles waged by their elders to protect the environment. For, indeed, there were already trailblazers among Mindanawon civil society agents as well as grassroots communities who gave birth to this ecological movement long before the rest of the country began to be aware of the impact of humanity’s insidious actions that destroy the environment. Raluto frames this movement within the Mindanao Church’s search for self-identity as a Local Church in view of Vatican Council II’s call for renewal. Long before the Second Plenary Council of the Philippines’ call for the Church in the Philippines to embrace the challenge of becoming Church of the Poor in 1991 and Pope Francis’ exhortations in the present age, the Mindanao-Sulu Church had embraced this notion in the early 1970s. The call for a preferential option for the poor which paralleled the movement of building Gagmayng Kristohanong Katilingban (Basic Christian Communities) – which the Marcos dictatorship feared would subvert the martial rule – challenged theologians to provide the faithful with reflections that helped nourished the people’s response to their poverty and powerlessness. This led to the rise of the theology of struggle privileging the faith-life engagements of the poor, deprived and oppressed towards social transformation. The theology of struggle was articulated by Filipino theologians, grounded in liberation theology but hoping to give birth to a more contextualized theological discourse appropriate to Filipino Christians. 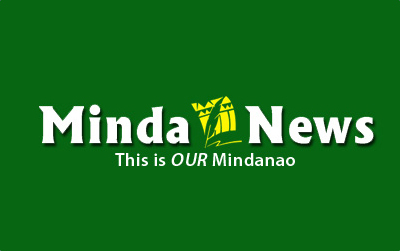 Raluto was a young man when the San Fernando peasants barricaded the town’s roads and later at Malaybalay City’s portion of the national highway where the Department of Environment and Natural Resources held office. Seeing them constituted Raluto’s epiphany, as he writes in this book’s Introduction: “I was awakened by.. (the) environmental activism that put my home province… at the center of national attention; (i)n July 1987,… as a pre-college seminarian, I witnessed some 3,000 residents of the municipality of San Fernando, Bukidnon, who opted to hold a picket against logging operations, which greedily exploited the dwindling forests”, Two more events cemented his option to be more ecologically committed, namely, the killing of Fr. Nery Lito Stur (in October 1991) and another people’s barricade to stop logging in Wao, Lanao del Sur (in November 1999). Along the way, Raluto finished his Bachelor of Sacred Theology at the Loyola School of Theology (2000), a Master’s Degree both in Theology and Philosophy at the Ateneo de Manila (2001 and 2002). After working in his home diocese, he proceeded to do his Licentiate in Sacred Theology at the Katholieke Universiteit Leuven in Belgium (2007) and finished the degree of Doctor of Philosophy (PhD) in Theology and Doctor in Sacred Theology (SThD) at the same university in 2011. The events taking place in Bukidnon from the late 1980s to the late 1990s would haunt him thereby propelling him to write his dissertation that in 2015 would be transformed into this book. Before Pope Francis left the Philippines, word came out that sometime in June he will issue an Apostolic Exhortation or a Social Encyclical on Climate Change. There are many who look forward to the issuance of this document which will certainly attract global attention. But for now and for all Filipinos, Raluto’s book is the must reading to understand why poverty and ecology has met at the crossroads and why it is an ethical imperative for all faith believers to make climate justice a reality!